This is a refreshing drink with many health benefits that you can make in seconds in your blender and enjoy right away. 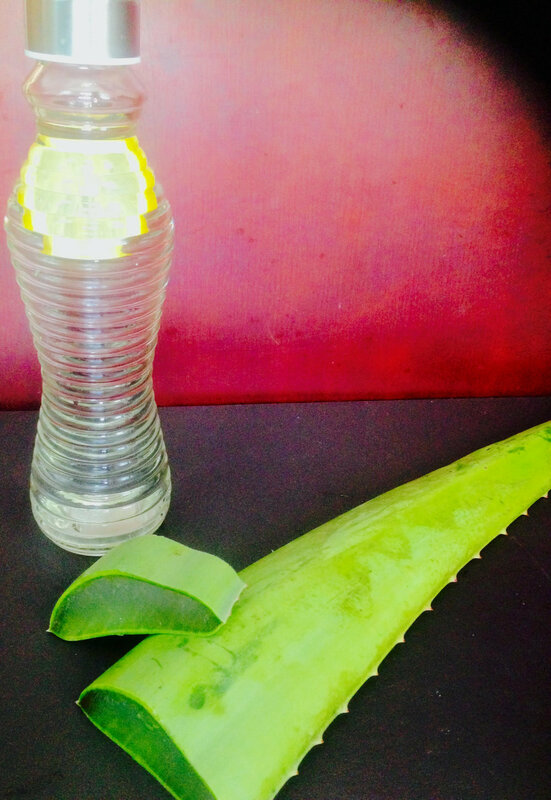 Cut the aloe leaf and scoop out the gel with a spoon. Place in a blender (like Vitamix) with the rest of the ingredients and blend on high speed for 10-20 seconds. Pour in glass and drink immediately on an empty stomach for optimal benefits. Thyme is a fragrant herb with lots of medicinal properties. Thyme is antiseptic, antiviral, antibacterial, carminative, diaphoretic, and an expectorant and supports healing throughout the entire body by helping cleanse the organs. Use thyme to boost your immunity especially during flu and cold season. For thousands of years, thyme has been a star of the herb garden because it has a long history of being used to heal and protect. If possible use fresh organic thyme over dried thyme. Better yet, plant it in your garden and harvest fresh at midday for the most powerful benefit. Include thyme in your daily diet. Add it to your salads, soups, smoothies, guacamole, vegetables or just take a moment and drink a cup of this powerful and very healing tea. Add the ginger and thyme sprigs to the water and soak overnight. Sip throughout the day. Add fresh lemon, if desired. There is nothing better than a simple juice with powerful healing benefits. This juice is simple and made just with one ingredient. It is best to drink it first thing in the morning on an empty stomach. After drinking the juice, wait at least one hour before you eat or drink anything else. Your body will love it! Juice all of the celery through a masticating juicer and enjoy right away. This is a very quick and easy non-dairy milk alternative made with hemp hearts. Hemp is a protein power super star, having one of the most complete protein profiles in the plant food kingdom. Hemp has an earthy-nutty flavor, so if you prefer, you can add any of the options bellow. There is no need to strain this milk if you use hemp seed hearts. You might get a little bit of sediment settling to the bottom after a little while, but that is all part of the fun and goodness. Blend all the ingredients in a high speed blender (like Vitamix) until the hemp hearts are completely broken down (about 2 minutes). Store the rest of the milk in a glass container in the refrigerator for up to a week. Start your day with this fantastic energizing juice that is bursting with many vitamins, live enzymes and minerals. Detox and nourish your body at the same time. Wash and juice everything. Enjoy it right away. Tip: drink this green juice right away because when you add lemon to the juice, the lemon speeds the oxidation process. Tea has a way of keeping you in the moment. It encourages the partaker to sit down and rest a moment. It is sort of a reset button for the weary. Rose hip is high in vitamin C and has a wonderful sweet and sour taste. Nettle is high in minerals like iron, magnesium, calcium and potassium and packed with lots of vitamins. Combine all dried herbs. Boil water in glass medium-size saucepan or in a steeping teapot. Remove from heat once boiling and then add the herb mixture to hot water. Cover to ensure that you receive all of the nutritional benefits from the herbs. Steep 30 minutes to 4 hours for maximum benefits. The longer you steep, the stronger the flavor will be. Strain the tea and take your time to enjoy it. 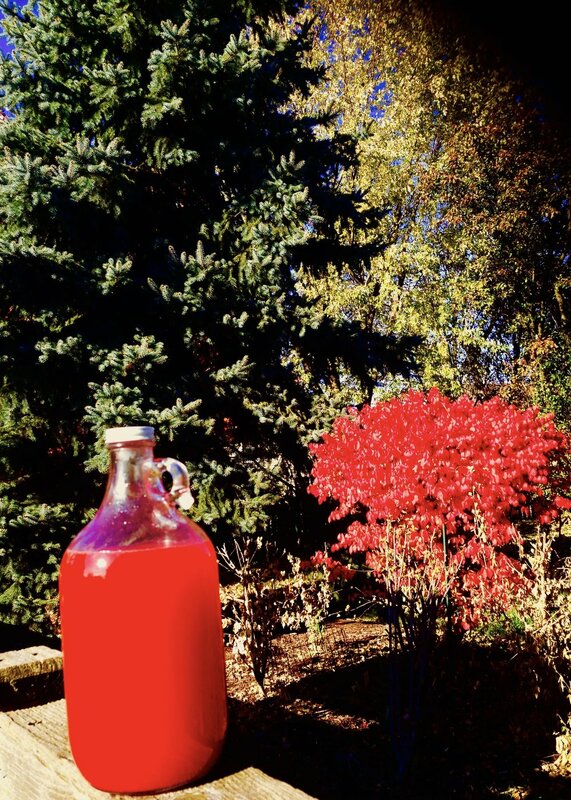 Everybody talks about green juice (an absolutely wonderful way to start your day), But how about a brilliant ruby red juice that looks and tastes delicious which is packed with so many antioxidants and nutrients that your body will stay energized for the rest of the day. Juice all of the ingredients with a masticating juicer (also referred to as a cold press juicer). Drink the juice as soon as it's done to avoid nutrient loss due to oxidation.